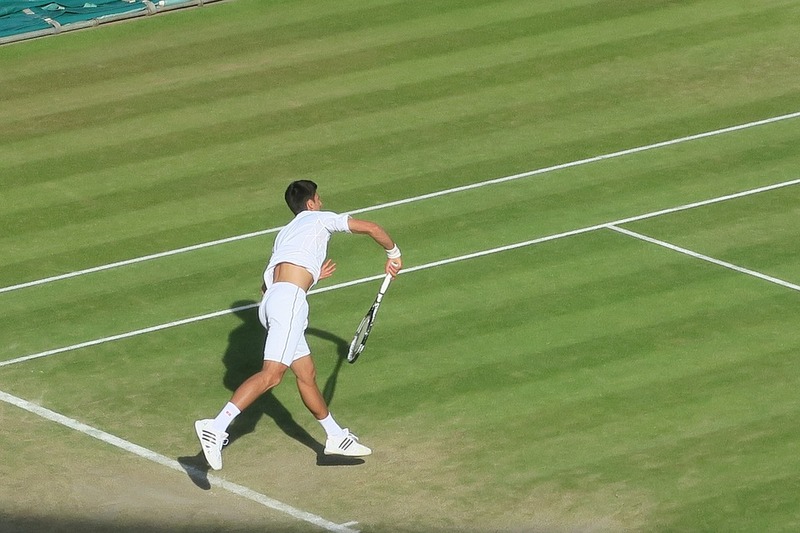 The 2018 Wimbledon Grand Slam tennis tournament for men players on the ATP circuit is taking place this month from July 2-15, 2018, on the grass courts at the All England Lawn Tennis and Croquet Club located in London, England. Here is a list of the prize money up for grabs for the men tennis players at 2018 Wimbledon. The 2018 Wimbledon tennis tournament is one of the four Grand Slam tournaments held annually. Total prize money up for grabs at 2018 Wimbledon is $44.49 million. The highest ranked men playing in 2018 Wimbledon are Roger Federer from Switzerland, Rafael Nadal from Spain, Marin Cilic from Croatia and Alexander Zverev from Germany. The highest ranked players from the United States are Jack Sock, John Isner and Sma Querrery. Three-time winner Novak Djokovic is ranked #12.